Liam is an unforgettable and inspirational speaker! He uses music, humour, video and real life stories to inspire employees to create great business cultures. All in his own unique, interactive and captivating style. Liam is not only a talented key note speaker he has a proven track record of implementing culture change programmes for many businesses in the Private, public and charitable sectors. These initiatives have led to a direct positive increase in customer satisfaction, employee morale and business performance. He has also created successful internal cultural, vision & value brands and inspirational change events for businesses throughout the UK. This enables Liam to talk with authority on all aspects of Culture Change & employee engagement, he has literally been there, done it and got the T Shirt! Liam believes in inspiring people to create great businesses and lives. His innovative and off-the-wall style is equally entertaining, fun and thought provoking. Most importantly he has a unique ability to connect with people at all levels. He has worked on the front line, through to Executive level and the Board Room, he does achieve amazing results and he doesn’t just talk about positive business change he makes it happen . He can create a speech that exactly meets your personal business requirements, using any of the individual elements from his change programmes, speeches and books. 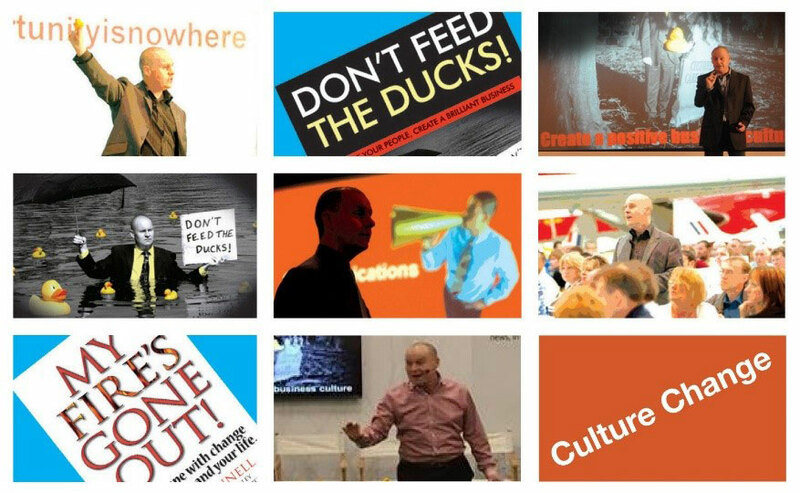 Liam delivers inspirational keynote presentations to help engage and motivate your people to create great organisations to work for and deliver fantastic customer service.